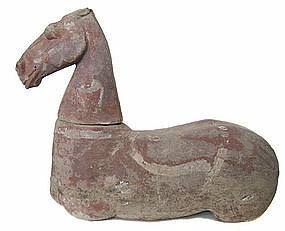 Chinese tomb pottery figure of a horse, T'ang Dynasty, wonderfully dynamic figure made of red clay with red slip pigment. 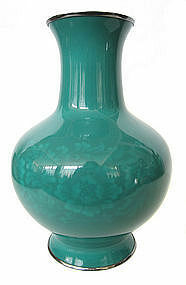 Size: 19 1/2" high x 17" long x 6" wide. 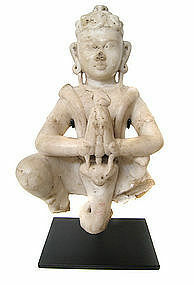 Antique Indian white marble figure of Garuda in youthful human form, cobras wrapped around neck, shoulders, arms and encircling his head like a crown, hands clasped over the head of a giant cobra, losses of wings and lower portion of body, 16th/17th century. 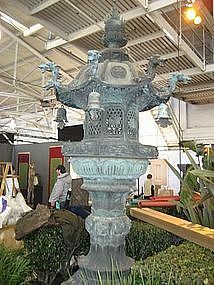 Very grand and dramatic pair of antique Japanese bronze lanterns from prominent temple courtyard, each lantern is made of 10 individual cast bronze sections, heavenly creatures are abundant and include: fu-dogs, apsaras (musical angels), kirin, and dragons, Tokugawa Mon (crest) on roof. 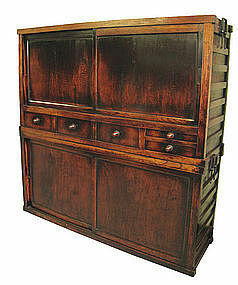 Japanese antique 2-section mizuya (kitchen tansu), from the Niigata area of Japan, made with keyaki wood on front and side bracing, deep orange / red original translucent lacquer finish with wonderful deep pantina, iron side hardware, unusual lacquered wood carved drawer knobs, each compartment with one long original shelf, Edo Period (18th/19th century). Size: 68" high x 68" wide x 20 1/2" deep. 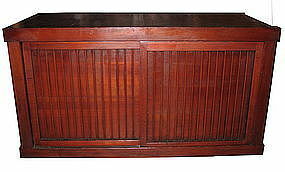 Antique Japanese Futon Tansu Section with vertical slats on panel doors. 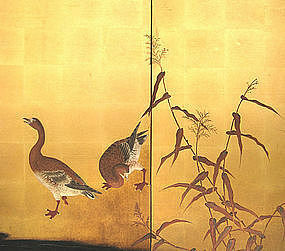 Meiji Period, circa 1860s. Excellent condition. 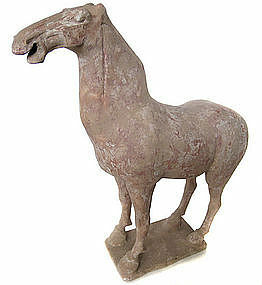 Size: 73" Long 31.5" Deep 39" High. 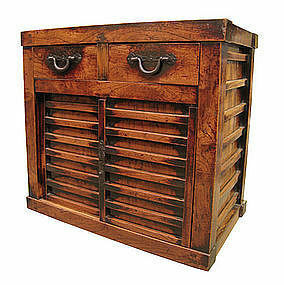 Beautiful and rare Japanese antique choba tansu (merchant's chest), made all of heavy keyaki (elm) wood, keyaki wood bracing on sides and back, original deep reddish brown translucent lacquer finish with wonderful patina, heavy iron hardware, interior has 2 drawers, Edo Period c1800. Size; 36 1/2" high x 40" wide x 23 1/4" deep.